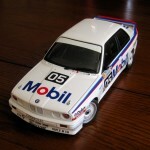 Generally, when a model collector is looking to buy a race car, for obvious reasons, he looks for the winning version. Every now and then, however, a model comes along that was utterly unsuccessful but looked damn good doing it. This model is one of them. 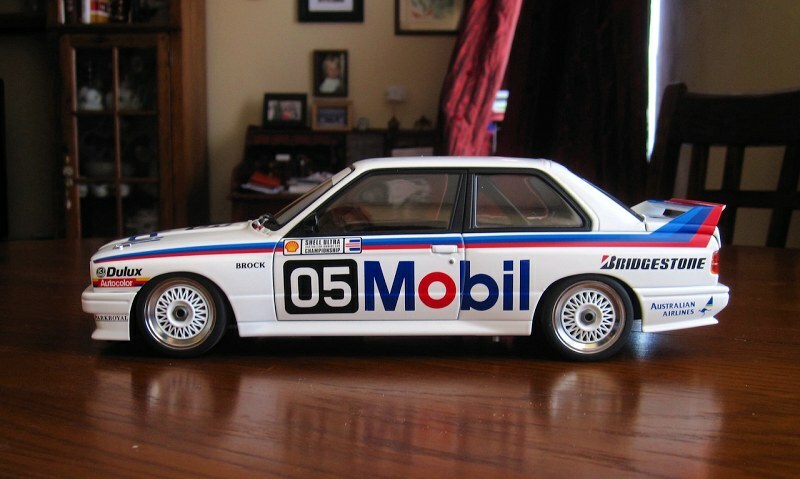 It is the E30 BMW M3, as driven by Peter Brock, a legendary Aussie driver, in the 1988 Australian Touring Car Championship (ATCC). 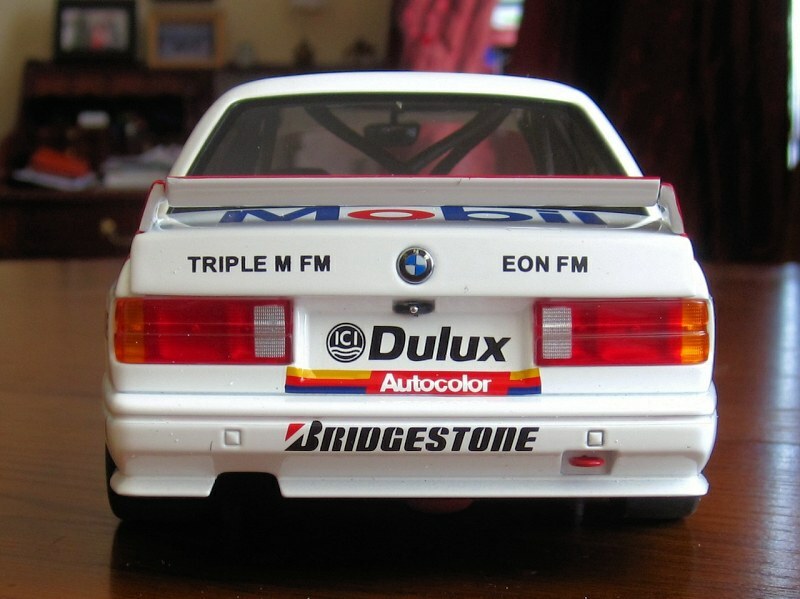 What was a BMW doing racing in Australia, you ask? Well, there’s a reason for that, too. 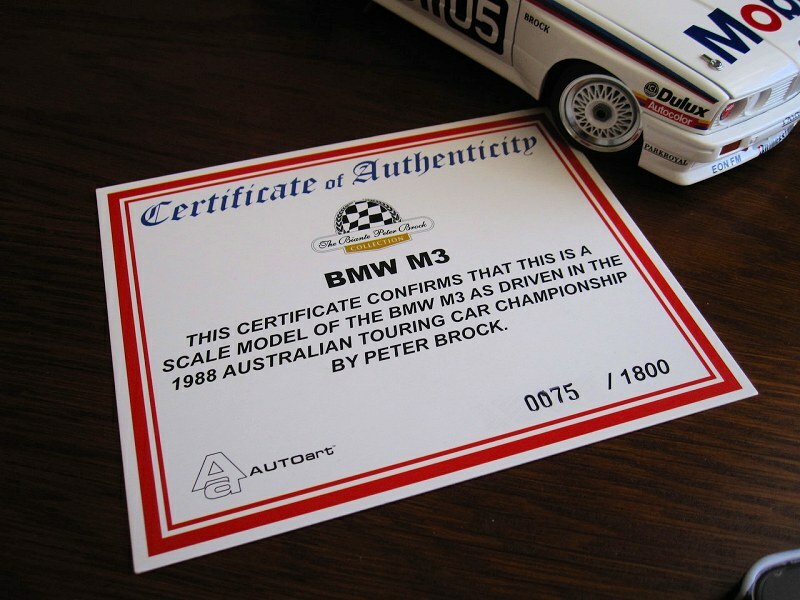 You see, Peter Brock was a successful Holden driver, but after experiencing a fallout with them (he resumed with Holden in 1991), he was looking for another car to race, and in 1988, the BMW was it. 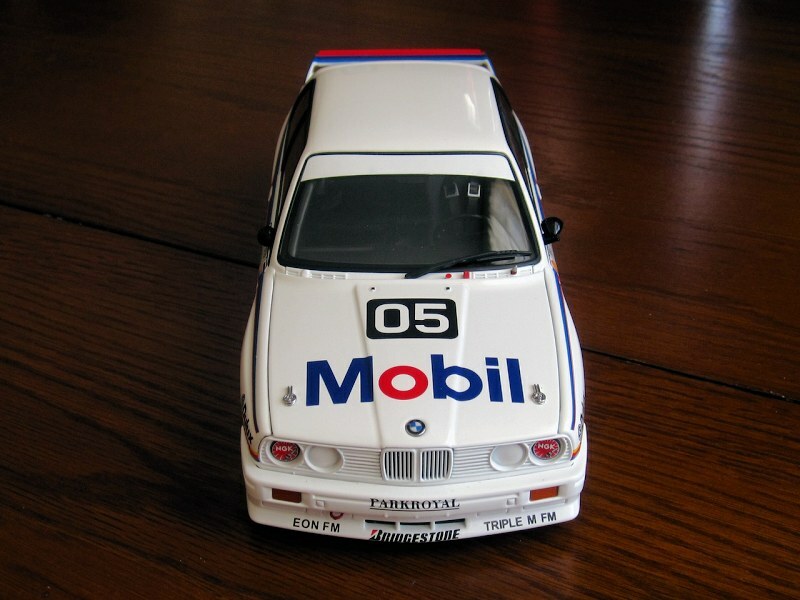 The BMW was run by the Mobil 1 race team, and was rendered obsolete almost immediately due to the arrival of the superior Ford Sierras. Brock went the entire season without scoring a single podium finish, and the team began using Sierras the following year. Clearly, this car was quite unsuccessful. So why did I buy it, you ask? Just look at it! In my eyes, it’s gorgeous. I immediately nicknamed it the Snow White. 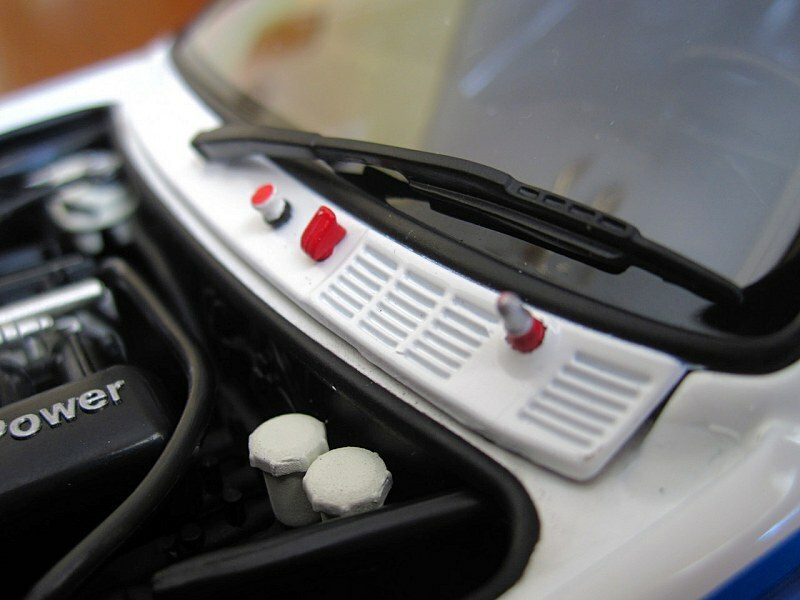 Predominantly white body, with white rims and the painted inner headlamp covers, it looks super cool. 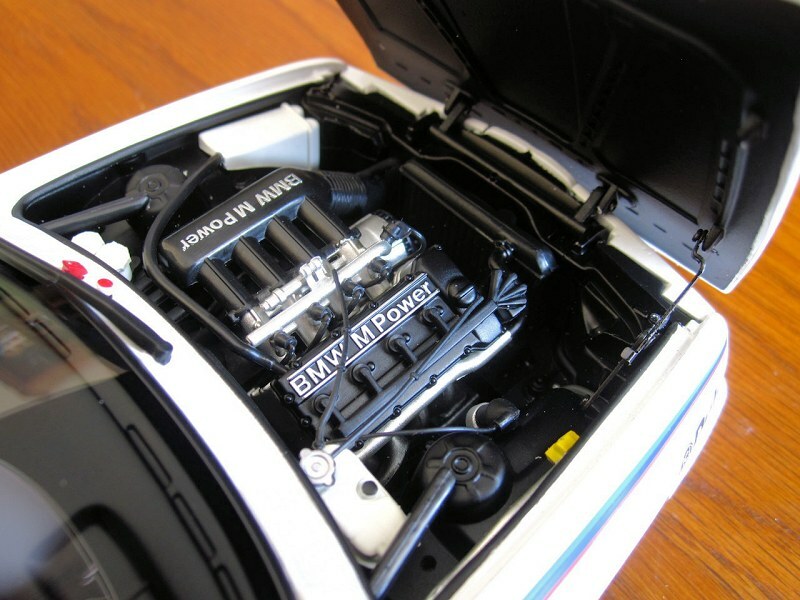 It is produced by AUTOart, so quality is expected, although it does come at a price. 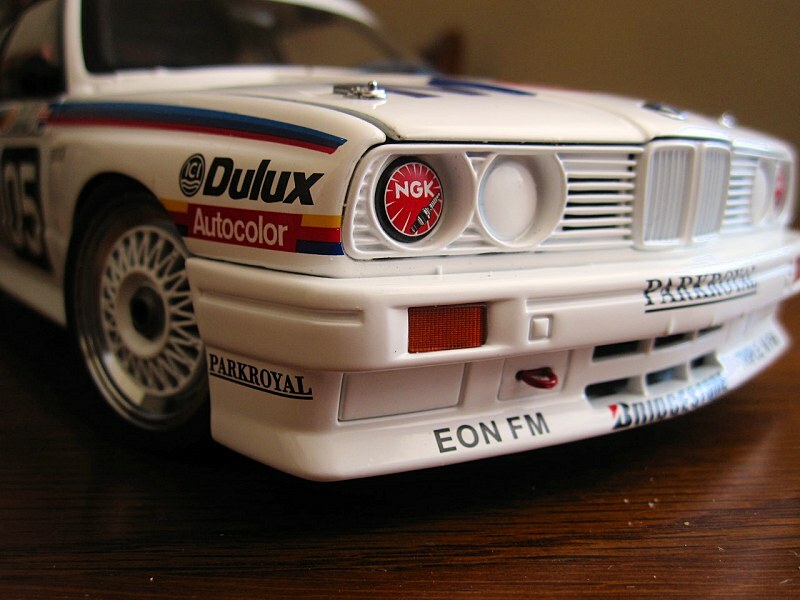 It is quite a bit more expensive than the other racing E30 M3s made by Autoart. I’m not sure why this is. 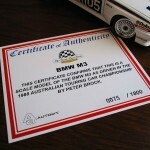 Maybe it’s because of the licensing fees associated with it being part of the Peter Brock collection, or maybe it’s just the premium Biante charges for their limited edition models (one of 1800). 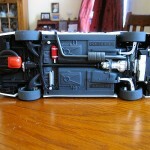 Take note that the price listed on Biante’s website is in AUD, so don’t forget to do your conversions. International customers do not pay tax, and if you’re a member, you receive a further discount. So if you’d like to view the actual price, sign up (or sign in), add it to your cart, specify your location, and you’ll be paying a lot less for it, shipping included, than the asking price. 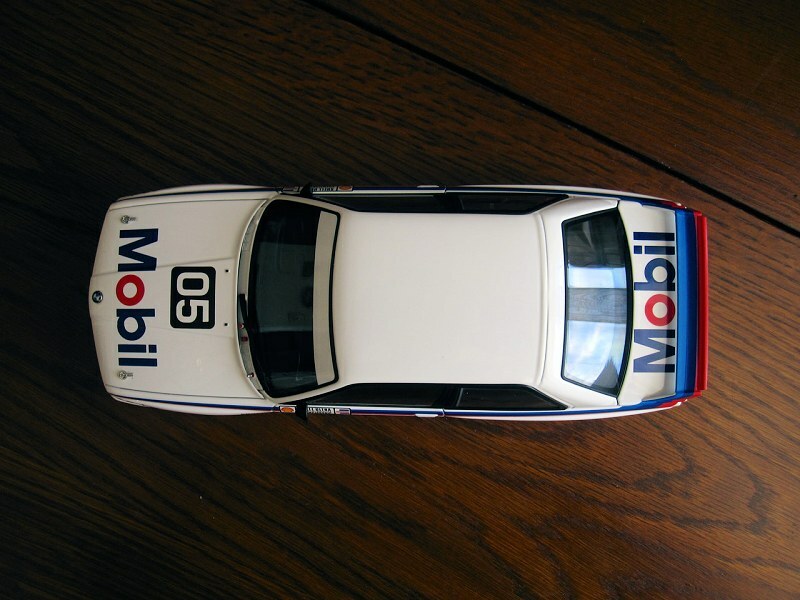 Moving on to the model itself, if you possess any of the several AUTOart versions, then you basically know what this model is like. 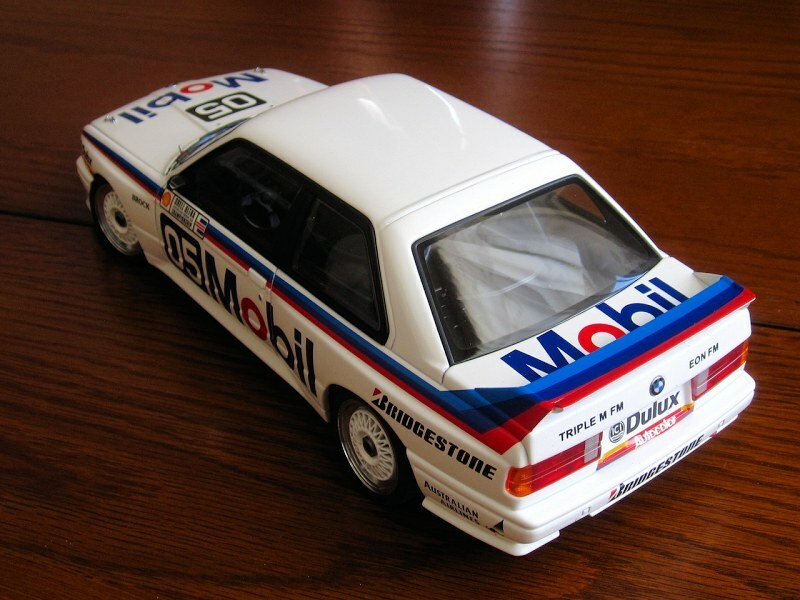 The differences, apart from the livery, are some missing hardware in the cockpit (AUTOart’s DTM versions were a lot more tech-heavy), very slight differences to the under-body, hardware in the trunk, and the lack of antennae. 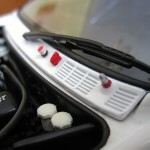 I hate how an antenna always adds fuss to a model. 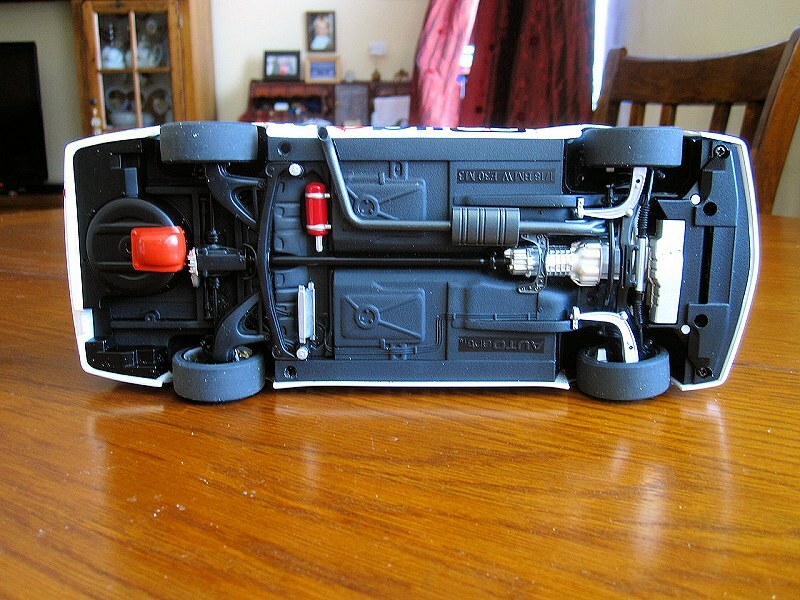 They tend to fall or break off, so I’m happy this model doesn’t have one. In my eyes, it looks much better without one too. Another difference would be the style of the Certificate of Authenticity. There are no quality control issues to speak of, apart from the model being covered in a not inconsiderable amount of styrofoam fuzz, and even though it came to me from Australia, it stayed in one piece and was packaged safely by Biante. I did have a bit of trouble with a glitch in my account, where it said that my order was pending, while in reality it was already shipped. Luckily, I got in touch with someone that lives very close to the factory. He gave them a call, and they forwarded me the tracking number, so all was well. Kudos to Biante for an admirable customer service department. They need to work on that online system though! 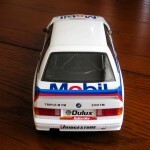 I decided not to delve too deep into this model, as many of you are familiar with AUTOart’s versions (this model’s box says AUTOart too), and instead focus on sharing my experience ordering directly from Biante, as I understand many collectors would have reservations ordering from so far away. I’m located in Canada, and I am happy to report that it was a pleasant experience, and I highly recommend them. A lot of their models, for example the Brock collection, have reached cult status and they are sure to become very sought after in the future, so get one while you can. Enjoy the pictures! 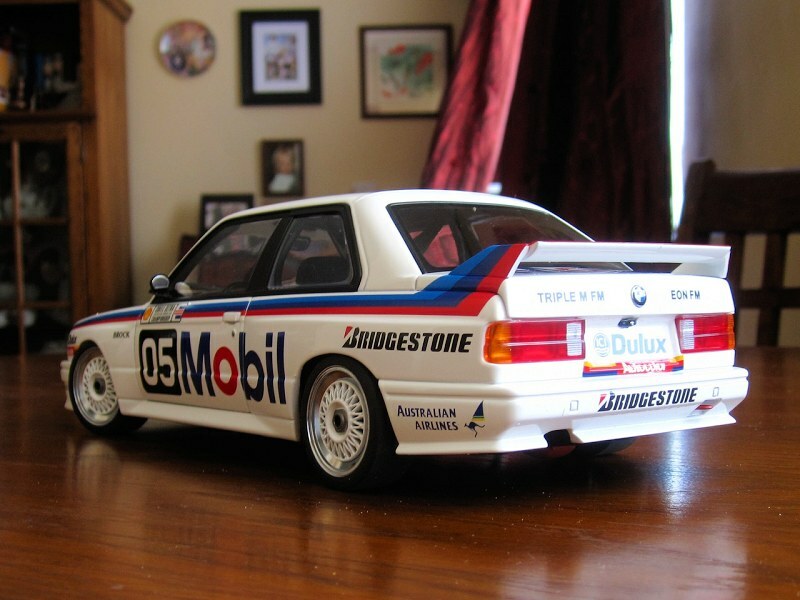 10 Responses to "REVIEW: Biante/AUTOart BMW M3: 1988 Australian Touring Car"
Thanks for the nice review Wes. 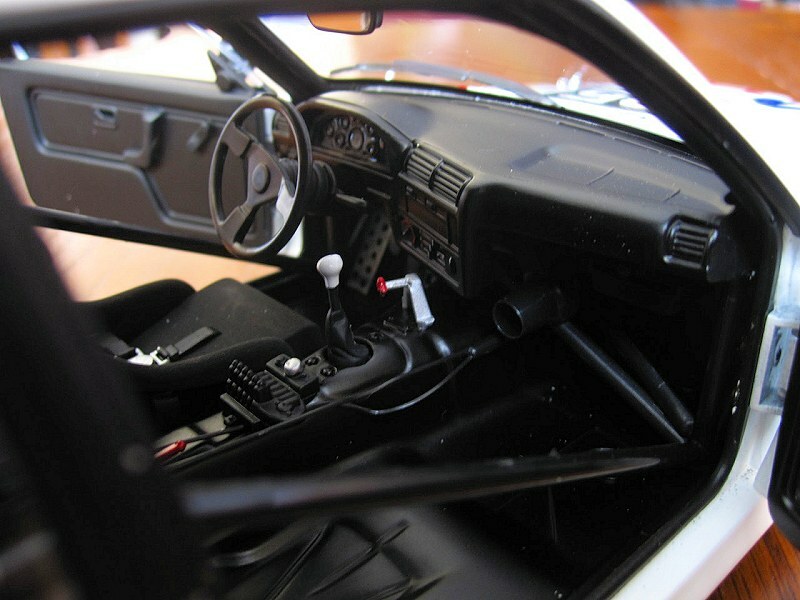 I like the fact that Autoart use tampos, so they are much better than Minichamps in this regard. 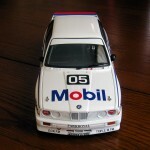 However the model still seems to exude a plastic feel, at least from the photos. How does it feel in hand? 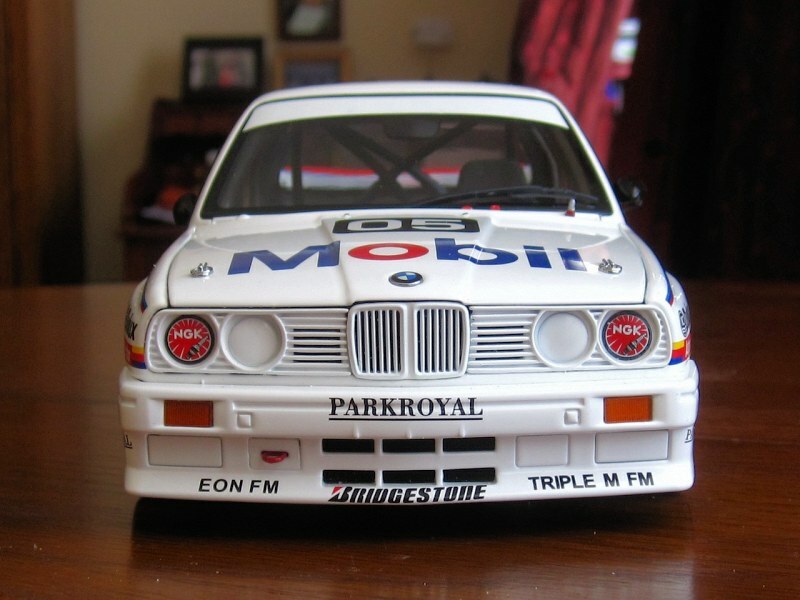 I actually have a Minichamps E30 M3 (the Jagermeister version) and it’s got a mix of tampos and decals and the decals are holding up extremely well, with zero degradation. 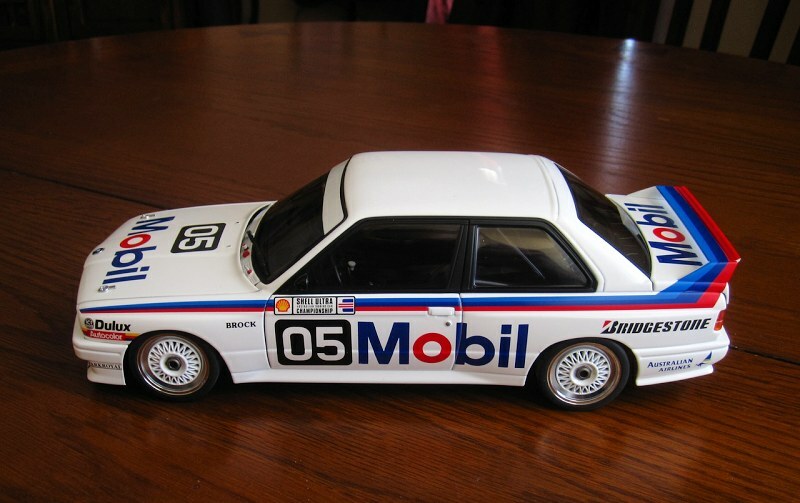 As for the Biante M3, I think only the body and the hood are made of diecast metal, the rest is plastic. It feels like most of Millenium models. 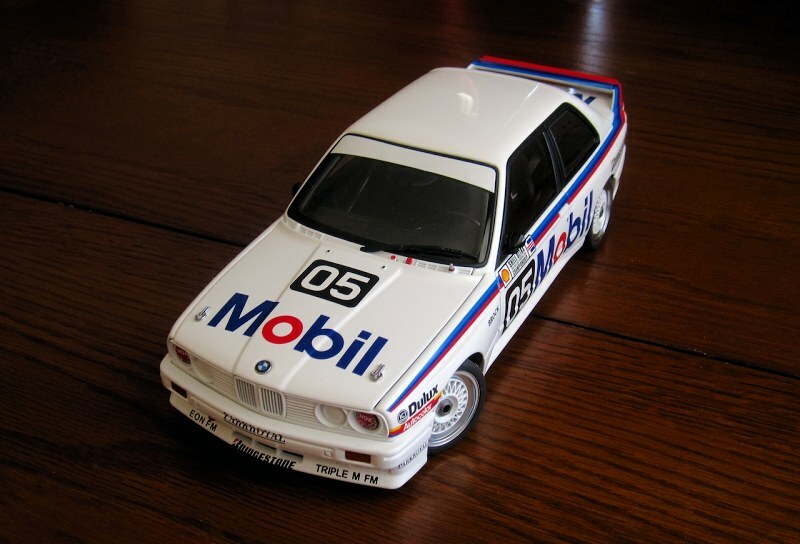 Ok, thanks Wes for the further details :) I am more interested in the Jagermeister M3 by Autoart, does that have a similar composition i.e. 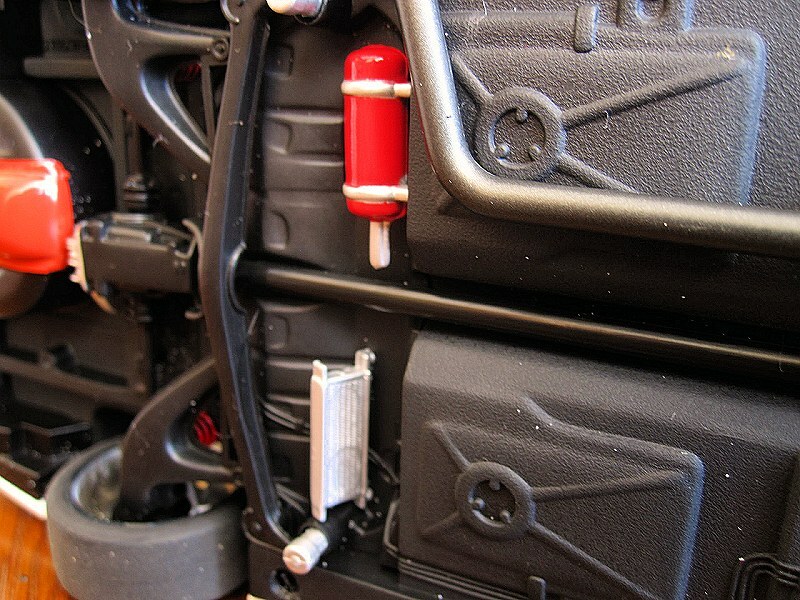 body of metal, internals of plastic? Yes, it’s exactly the same as this one. 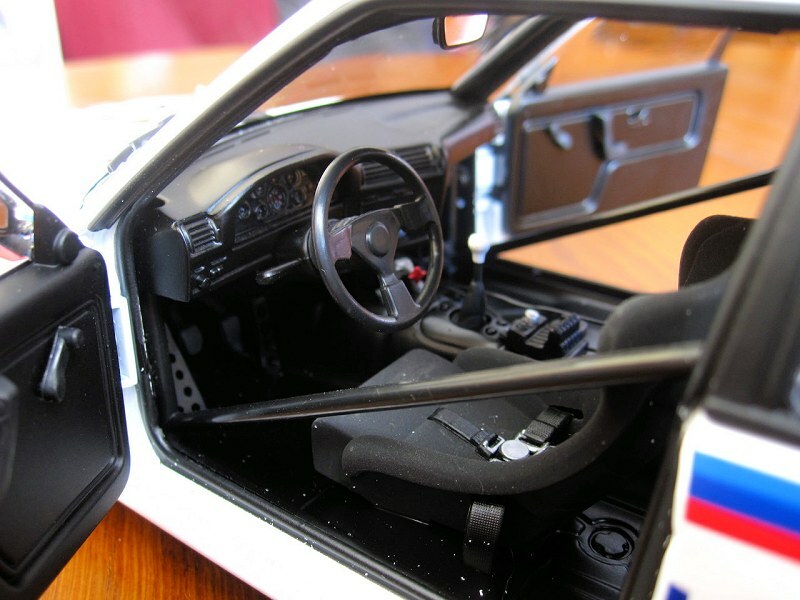 It should be pointed out that the original 1:1 BMW M3 had a number of ‘plastic’ parts fitted by the factory. 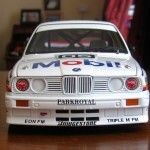 So having them replicated on a model is not too far from the truth. I have serious doubts about the silencer clearly visible on the exhaust dump however. 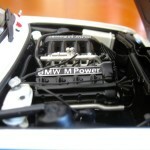 Such components were fitted as required by DRM/DTM when Group A was introduced in Germany, but they were not specified by the Australian rule makers (CAMS). I have a number of books about the ATCC during this era, and have not seen any mention of maximum noise rules. 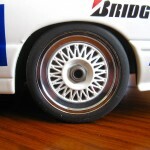 I must say I continue to be puzzled by the attitude of Biante and Classic Carlectables in relation to overseas dealers. 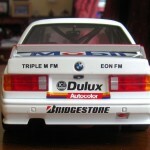 They both informed me they didn’t think there was any demand for Australian car model subjects outside of Australasia. 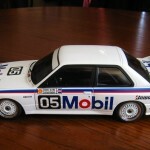 This despite the fact that AutoArt are releasing 1:18 models of the 1991 and 1992 Bathurst 1000 winning Nissan Skyline GT-R’s Worldwide in the near future. 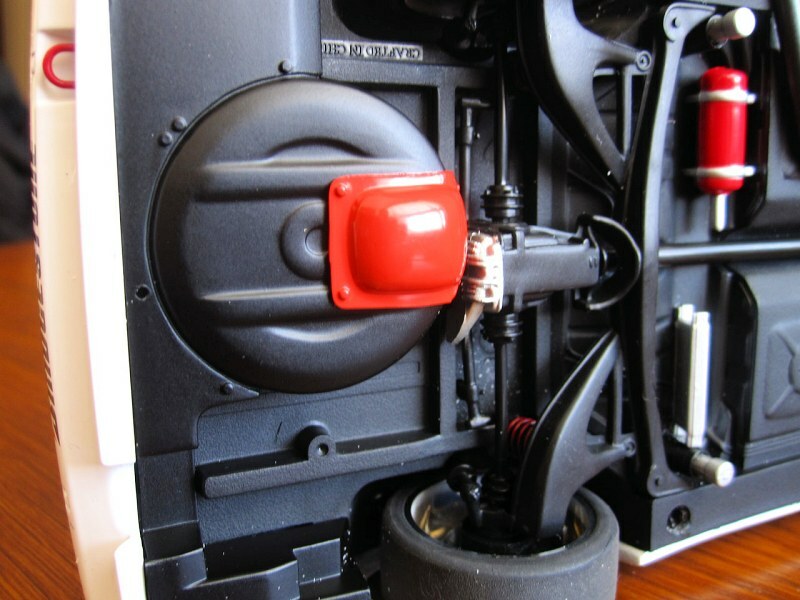 Importing individual models is very expensive, when customs and shipping costs are added. 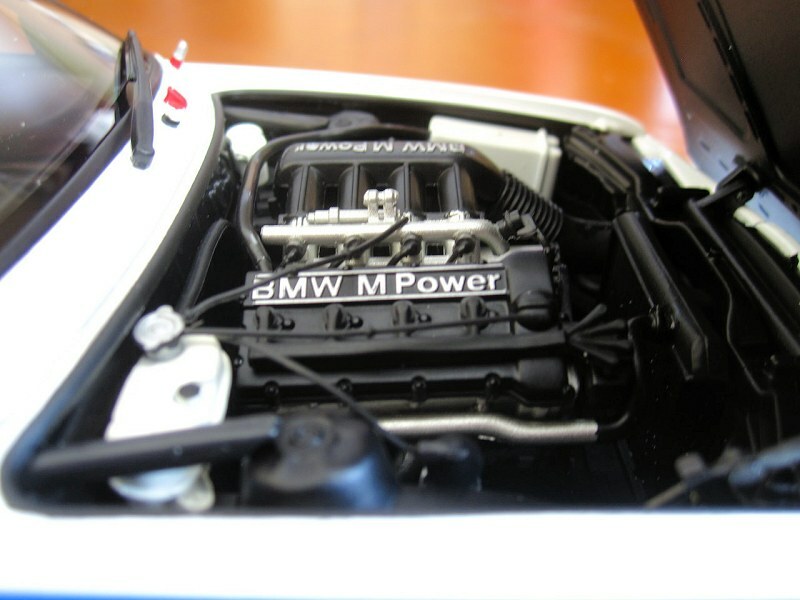 I must say, that’s way beyond my expertise, but I did inspect the underbody on another Autoart M3, and besides the exhaust, it was exactly the same. 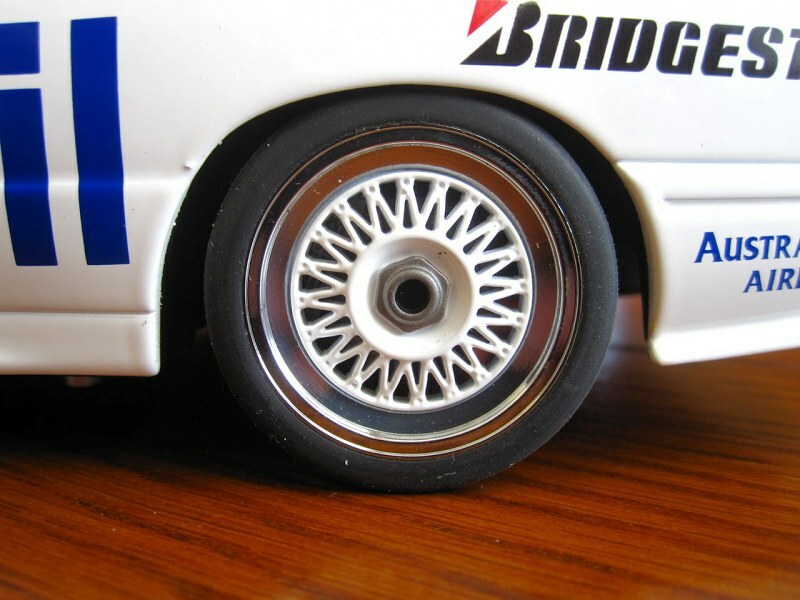 You’re right about the customs, but the demand is low specifically from Biante and CC. 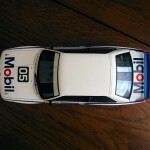 If these models are released by Autoart, they are exposed to a much larger audience. 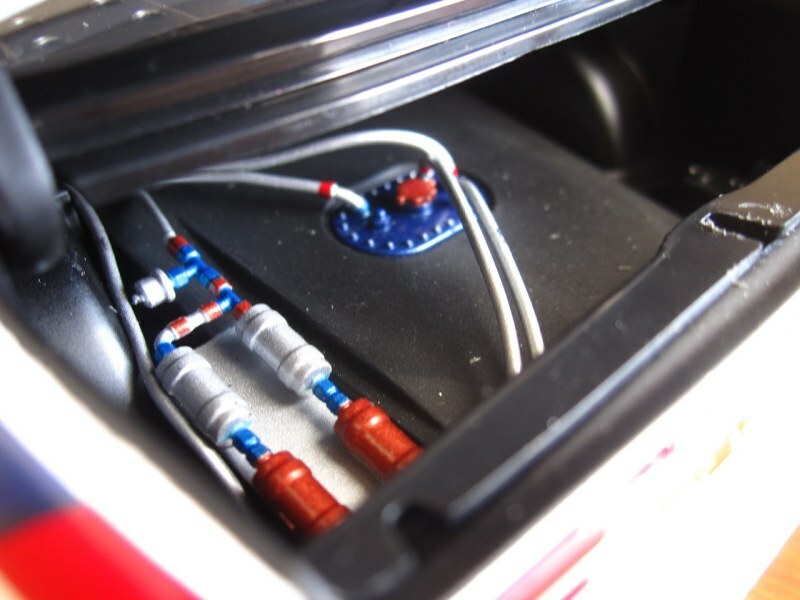 Hence they may not sell as well under a Biante/CC label, but Autoart will have no problems. Probably 500. 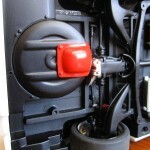 The tooling and drawings are already on file, so the costs are restricted to the factory line overheads. Just a thought. 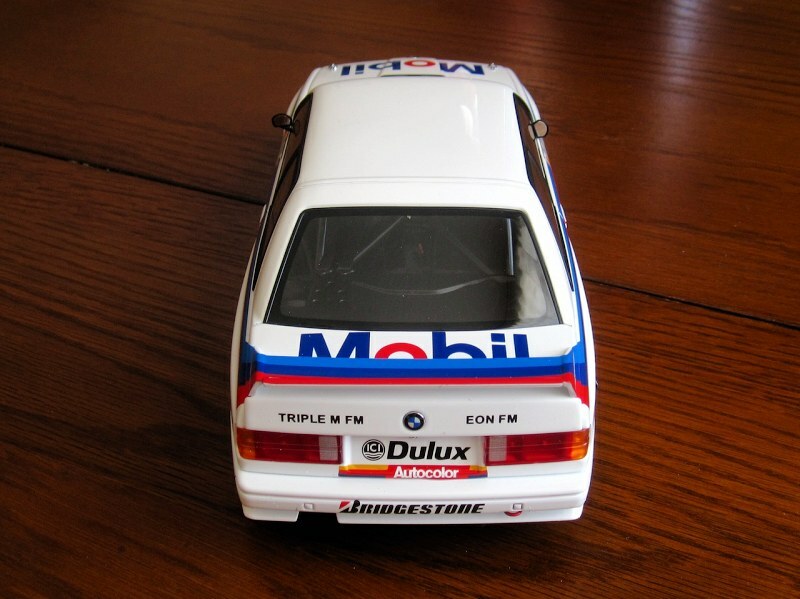 Just a correction, Brock and Richards won the 1988 Pepsi 250 at Oran Park, therefore Brock didn’t go the entire season without scoring a single podium finish. 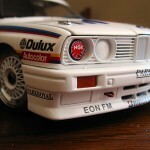 Its a shame this model has the Sport Evo rear spoiler as it shouldn’t.